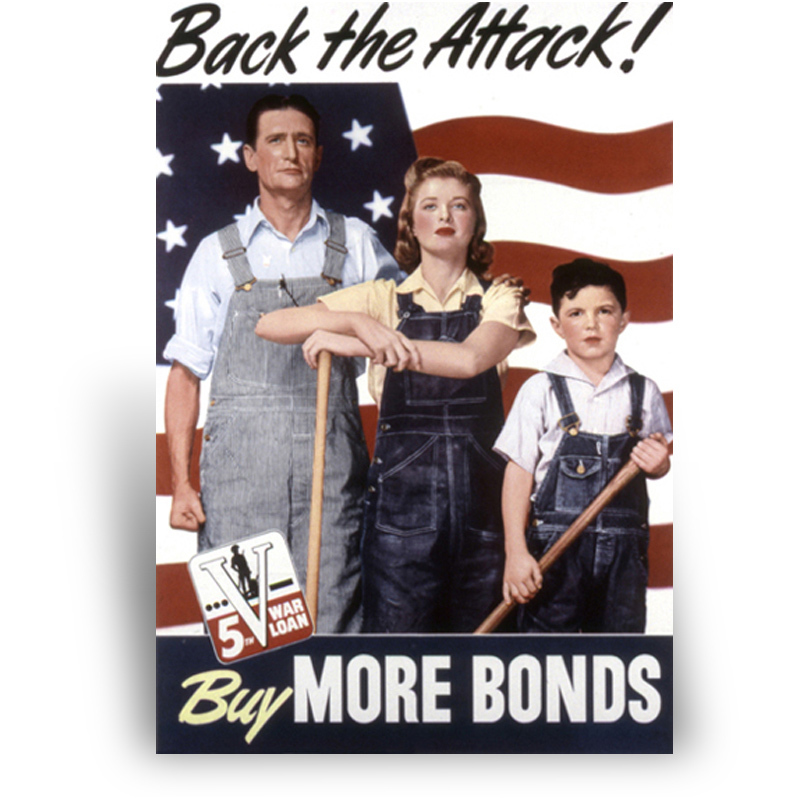 This World War II era poster encourages the public to purchase bonds in support of the war effort. The poster depicts a farm family dressed in overalls, holding farm tools, and standing before an American flag. It is one of many posters distributed by the government to elicit support during the war years.